Renting an apartment, house or condominium is commonplace among many people. Perhaps you have moved home from college and do not want to reside with your parents or you are about relocate for your job. In both instances, the terms of the lease signed by the landlord and tenant will dictate the ongoing tenancy. Thus, it is extremely important that you understand the agreement. In the residential context, a landlord is only permitted to collect one and a half month’s rent for the security and must deposit the same in an interest bearing bank account. Many leases will include provisions stating that the tenant must pay a late fee if rent is not paid on or before the first of the month or whatever date rent is due under the lease. The court recently addressed the issue of the landlords deducting the late fee from the security deposit once the tenant has vacated the property. In Dawson v. Cross, the tenant filed a complaint in small claims court seeking the return of her security deposit. The complaint alleged that after the tenant moved out, the landlord paid herself late fees from the security. 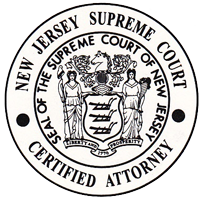 The Monmouth County Superior Court found, after hearing testimony, that the landlord waited too long to collect the late fees and that the landlord was barred from recovering any late fees from the tenant’s security deposit under the doctrine of latches. Laches is a remedy that may apply where there is unexplained and inexcusable delay in enforcing a known right whereby prejudice has resulted to the other party because of such delay. Laches may only be enforced when the delaying party had sufficient opportunity to assert a right in the proper forum and the prejudiced party acted in good faith believing that the right had been abandoned. The Appellate Division affirmed, but for a different reason. The Appellate Court agreed with the landlord that there was no finding that the tenant was prejudiced by the landlord’s delay in claiming the late fees. However, the terms of the lease precluded the landlord from taking money from the security deposit to reimburse herself for money owed under the lease. The court stated that the lease between the parties plainly stated that the security deposit may not be used by either party for any payment due under this agreement and that the landlord violated this agreement by using the security deposit as a source to pay herself late fees allegedly due under the agreement. The court stated that when the terms of a contract are clear and unambiguous, there is no room for interpretation or construction and the courts must enforce those terms as written. This case evidences the importance of each and every term in your lease agreement. Simply downloading a lease from the internet or signing a lease your landlord downloaded from the internet may not be in your best interest. It is vital that you sit down with an attorney to discuss the terms of the tenancy and ensure your rights as a tenant or landlord are protected. The attorneys at Gale & Laughlin are here to answer any and all of your landlord/tenant questions. Please contact us with any of your concerns before you draft or sign that lease!